The redundancy offered by Multipath TCP enables inverse multiplexing of resources, and thus increases TCP throughput to the sum of all available link-level channels instead of using a single one as required by plain TCP. Multipath TCP is backwards compatible with plain TCP. 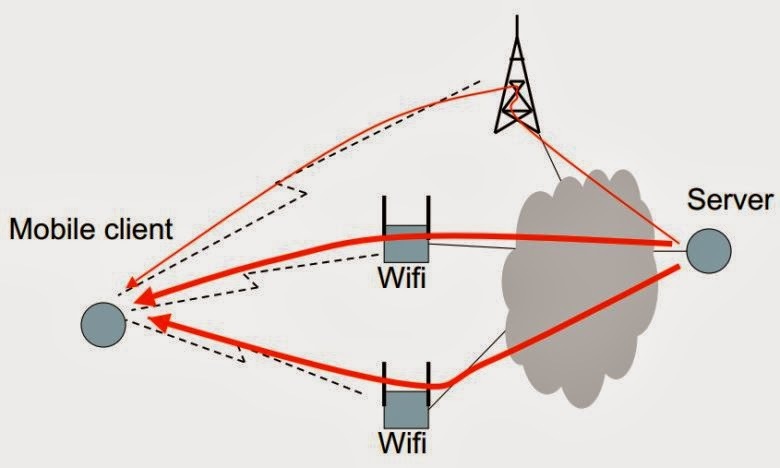 Multipath TCP is particularly useful in the context of wireless networks  - using both Wi-Fi and a mobile network is a typical use case. In addition to the gains in throughput from inverse multiplexing, links may be added or dropped as the user moves in or out of coverage without disrupting the end-to-end TCP connection.